Catriona McPherson is here today to answer questions about mottos and spelling to celebrate her new book, Quiet Neighbors. I had the honor of interviewing Catriona on-stage at Left Coast Crime back in February where she was the Toastmistress. It was so much fun, that we based this Q&A on our favorite questions from that day. And don't forget to enter to win the goodie bag signed by Catriona at the end of the post. Just comment and tell us the friend you've known the longest. US residents only. I’ve loved every Left Coast Crime I’ve ever attended, which is five now. But I’ve got to say - being the Toastmaster at Phoenix this year was an extra blast of joy. And being interviewed by Deb Lacy was the highlight of the weekend. Deb: So, Catriona, why’s your name spelled so funny? And that is why I love her. This was the first question in a big, serious, miked-up interview in a room full of mystery fans. I hope I didn’t deafen anyone cackling through the sound system. The answer is: Catriona is the Scots spelling of English Catherine/Russian Katerina/Spanish Catalina/Irish Caitlin/Welsh Catrin. Don’t pick on me! When I lived in Scotland and said my full name over the phone the only question I was ever asked was “Mick or Mack?”. Now I sometimes have people argue with me about whether I’m getting it right. The funniest one was when a guy in LA said, quite triumphantly: “But what about Robert Louis Stevenson’s Catriona ? That’s pronounced Kat-tree-OWN-a!” What could I say? - “Maybe in LA it is. Not in Edinburgh where I – and Robert Louis Stevenson – were both born.” Life’s too short. And, if I’m honest, I don’t mind how anyone pronounces my name. You should have heard my first attempt at Ximana. Deb: Do you have a writing motto? This isn’t to say I don’t think my work matters. I believe stories do matter and so does beauty. (Really – they’re great curtains.) But my mottoes are all for life in general. Love is the answer, whatever the question. And We’re monkeys, not tigers. And Cut to the but, because everything before the but is bull. Deb: Tell me about the bookshop. Oh yes! I’ve got a book coming out. 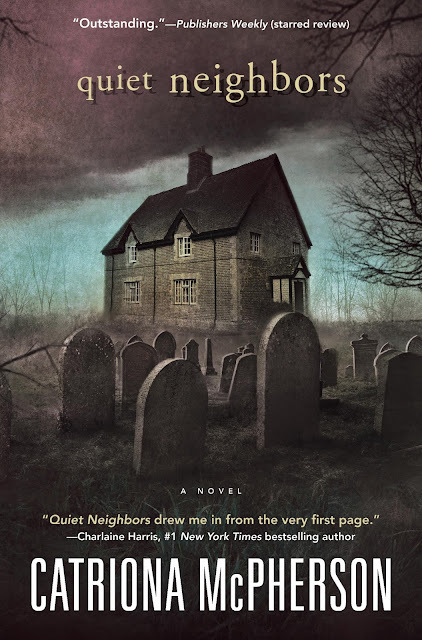 QUIET NEIGHBORS is set in a fictitious bookshop in a real town full of them. Wigtown in south-west Scotland is the national booktown and hosts a literary festival every September. Just about where Sean and Jessica’s real shop sits, I’ve squeezed in an imaginary establishment run by an imaginary bookseller, filled it with everything I love, and made it totally disorganised and very dirty so that Jude, my cataloguing-librarian protagonist, gets all the fun of setting it to rights. I don’t think I could have enjoyed myself anymore unless I had actually been there with a bucket of soapy water and Spontex cloth, and my soft pencil for marking prices inside the back covers. The plot of this book was more troublesome than usual and I shed a tear or two before I got it to work out, but the setting – Lowland Glen Books, the equally dishevelled Jamaica House where the bookseller lives, the natty Kirk Cottage (pictured on the jacket) where Jude finds a home . . . that was all bliss. I hope everyone who visits is happy they came by. Don't forget to comment below to enter to win the bag. Read Kerry Hammond's review of Quiet Neighbors. I love what her friend says to her when they're stressed out :) And I'm intrigued by the fact that she created a fictitious bookstore in a true booktown! What a fun interview. 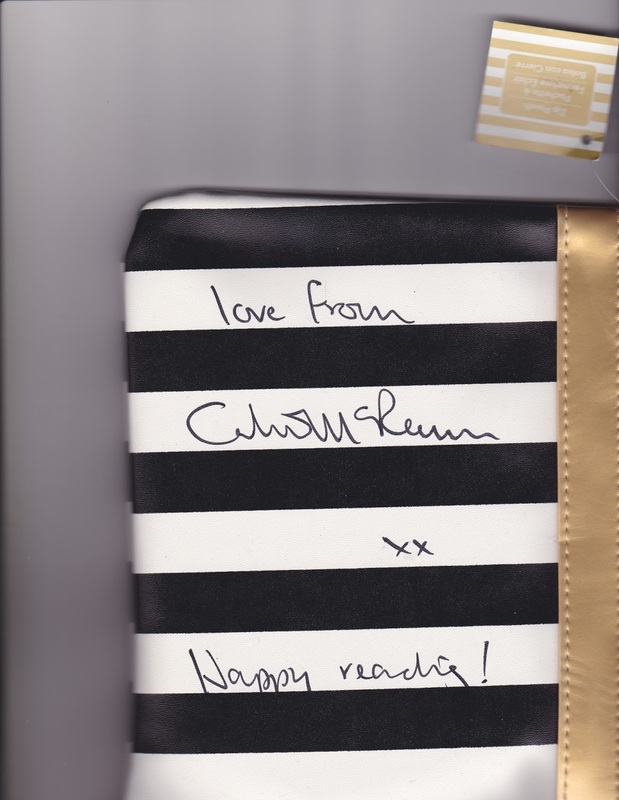 A most fascinating glimpse about Catriona and her writing. How enjoyable. My oldest friend, Ruth, with whom I went to public school many years ago is always there for me. You're my favorite Scot. Tracey Horn is my oldest friend, since we were 12. I love everything that comes out of Cat-ree-own-a's mouth. I thought it was the accent, but the fact that reading this interview, and not hearing her speak, was equally enjoyable tells me that it just might possibly be the author herself. Is it sad to admit that I don't have a friend to name whom I've known the longest? If hard pressed, I think I will have to name my biological sister Kim. I mean, I've known her the absolute longest. haha I love the first question.. She seems so likeable. Absolutely loved her take on "why I don't have a writing motto". In a way, it's just about creating art and not taking ourselves that seriously! Makes the process much easier :) Hope you are having a great week! 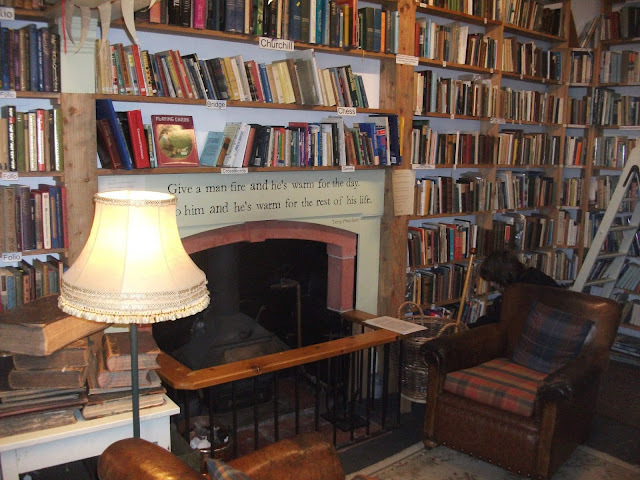 This is such a fun and interesting read, love what she did with the (imaginary) bookshop there. Writing really is an art and her motto is so on point, love it! This sounds like an amazing read. I enjoy books centered around bookstores. This is a new author to me, would love to read the book.